Your 25th Reunion is a time to reflect on your personal Bates experience, reconnect with classmates, and celebrate together in June, back where it all began. This milestone year also offers an opportunity to reflect on your own Bates legacy and invest in current and future generations of Bobcats, just as older alumni did to support your success more than 25 years ago. Help organize your milestone 25th Reunion by joining your class’s Gift or Social Committee efforts! If you’re interested in playing a leadership role in planning your 25th Reunion, please email reunion@bates.edu. And be sure to save the date for Reunion Weekend, June 7–9, 2019! Members of the 25th Reunion class are encouraged to make a milestone gift that is three times the size of their largest gift to the Bates Fund. +Why is 25th Reunion giving important? Your gift to Bates this milestone year is a gift to your former Bates mentors and professors, a nod to the experiences and relationships you enjoyed on campus 25 years ago, and a gift to students on their own Bates journey at this very moment. It is a vote of confidence in Bates and an investment in its future. By making a 25th Reunion contribution, you’re paying it forward by ensuring that the fundamental aspects of a Bates education remain accessible to the most deserving students, regardless of their financial resources. Pursue a corporate match: Many companies offer matching gift programs to encourage employees to support their colleges and universities. To find out if your company has a matching gift program and if it will match your gift to Bates, please check this website or contact your company’s human resources office. Most companies match dollar for dollar, but some will double or triple an employee’s gift! If your gift is eligible, please request a matching gift form from your employer and send it, completed and signed, with your gift to: Office of Advancement, Bates College, 2 Andrews Road, Lewiston, ME 04240. Join the Mount David Society: The Mount David Society recognizes alumni who make the college a philanthropic priority with a gift of $2,500 or more to the Bates Fund. MDS-level donors lead the way in supporting Bates by making significant, unrestricted current-use gifts each year — gifts that underpin the college’s ability to sustain excellence. Join the Phillips Society: The Phillips Society celebrates those in the Bates community who have provided for Bates in their estate plans, trusts, or other financial arrangements. +When should I make my 25th Reunion gift? In order to count toward your Reunion class goals, gifts must be received by June 30, 2019. However, we encourage you to consider contributing by May 1, 2019, to ensure your gift is celebrated during Reunion Weekend! +How will my gift be used? Plus, all gifts of all sizes count toward The Bates Campaign. +Why should I attend Reunion Weekend? 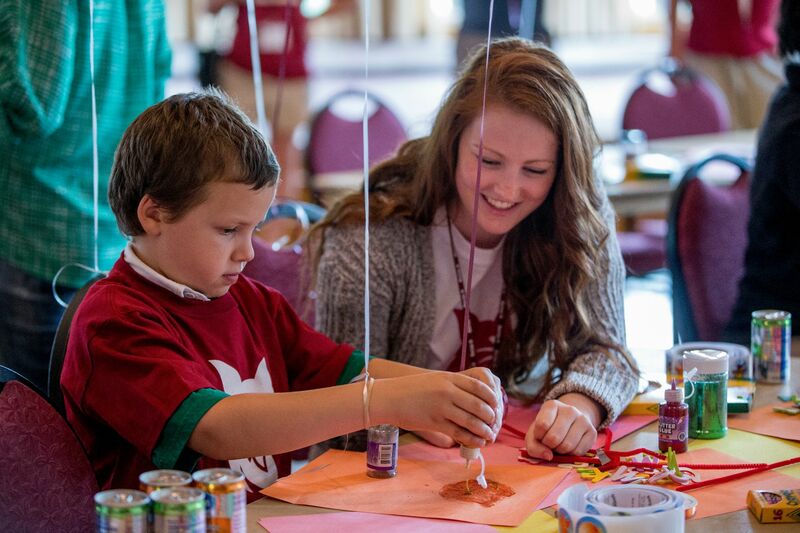 More than 1,100 alumni and friends annually return to Bates for Reunion Weekend to reconnect and enjoy the beauty of the Bates campus in summer. Register your kids for fun-filled Camp Bates programming and turn Reunion Weekend into a Maine family vacation. Enjoy the annual Reunion Weekend lobster bake, golf outing, Bobcat Beer Garden, and barbecue picnic lunch. Visit familiar haunts and see how campus has changed, including new dorms, a refurbished Garcelon Field, the new Bates College Store, and a fabulous dining hall. Cheer on alumni of all ages in the historic Alumni Parade. Hear from faculty and senior leaders, including President Clayton Spencer. Attend a lecture by distinguished alumni or join a Bates Outing Club excursion. And dance the night away at the annual Reunion Gala! Regardless of your interests, there is something for everyone at Reunion! +How do I register for Reunion Weekend? Registration will open in Winter 2019. If you have any questions please call 207-755-5976. +How do I follow the Class of 1994 on social media? Join the Class of 1994’s Facebook page!